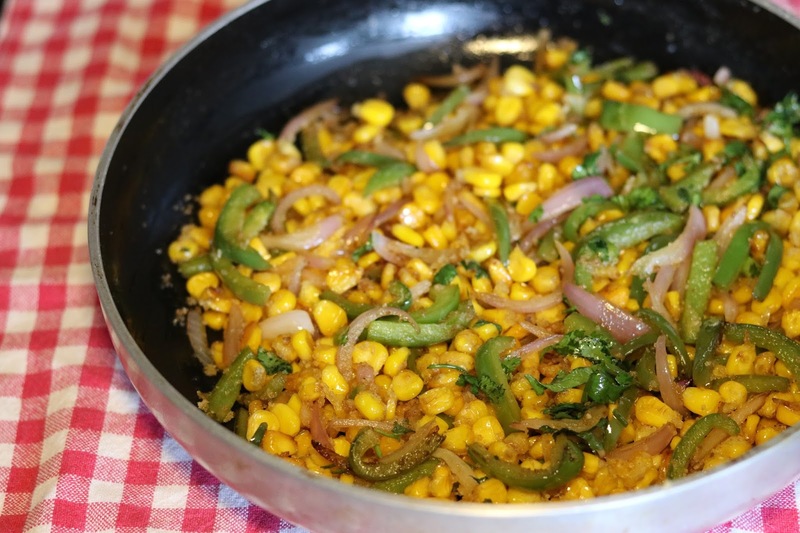 We usually make Buttered American corns as the easiest corn recipe. Here is another corns innovation...Crispy corn kernels. 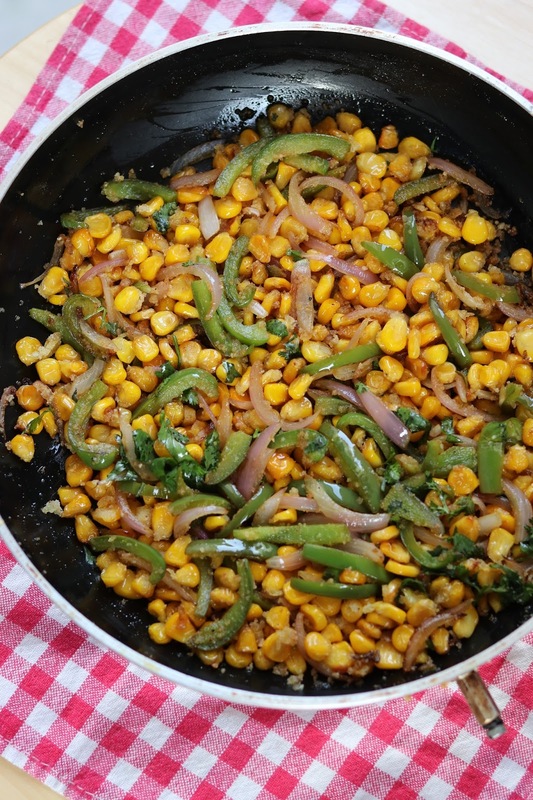 Crispy corns fry is a simple and crisp snack recipe which is easy to cook. This dish can be served as breakfast or even a party starter. A treat for all corn lovers...especially kids. 1. Drain extra water from the corn kernels. In a bowl add salt, black pepper, rice flour and mix together. Rest the mixture for 1 min. 2. Shallow fry or deep fry the corn kernels. Be careful while frying as corns might pop up in between. You can even cover the lid of the pan. Shallow fry for 5-7 min till the corns get crisp. Transfer the corns on a tissue paper. 3. For stir fry, melt butter in same pan and saute onions and capsicums and add crispy corns. Cook for 5 min and hot crispy corn kernels are ready to serve. Note - Additionally Corn flour can also be added for better coating.